A trip down the rabbit hole, poking around in the history of Seattle’s first world’s fair, the Alaska-Yukon-Pacific Exposition of 1909, turned up an almost unbelievable story. Someone actually tried to give away a month-old baby boy named Ernest. In a raffle. From that fascinating tidbit, Montana novelist Jamie Ford has fashioned a historical novel that imagines young Ernest’s life, “Love and Other Consolation Prizes.” He’ll read from his latest at Auntie’s Bookstore on Thursday night. He’s hoping the story hits a compassionate streak in readers, and maybe teaches them something, too. Blending history and fiction is Ford’s specialty. 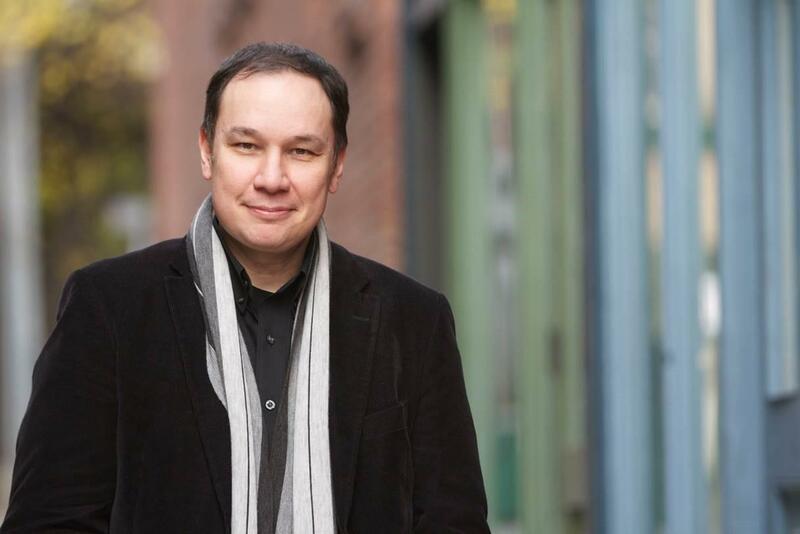 His debut novel, the award-winning best-seller “Hotel on the Corner of Bitter and Sweet,” dealt with racism faced by Chinese and Japanese-American residents of Seattle at the outbreak of World War II. His follow-up, “The Song of Willow Frost,” is set in the 1920s and ’30s and is centered on a 12-year-old Chinese orphan who becomes convinced his dead mother is actually a movie star. For “Love and Other Consolation Prizes,” Ford imagines Ernest’s story from his impoverished childhood in China, where he is ostracized because his father was a white missionary, to his childhood in orphanages and boarding schools. His life is changed dramatically with the raffle, when the 12-year-old is “won” by Madam Flora (a character inspired by the notorious Madam Lou Graham), who runs a high-end bordello in Seattle’s Pioneer Square. Flora brings young Ernest into her busy brothel as a houseboy. There he meets three young women who would shape his life. The story flashes forward to Seattle’s second world’s fair, in 1962, whose opening sets Ernest and his daughters, especially Judy, an ambitious reporter for the Post-Intelligencer, on a path of bittersweet nostalgia and discovery. Ford spent a couple years on “Consolation Prizes,” with a lot of time devoted to research. His historical fiction may be fiction, but there’s a lot of fact there, too. He insists on it. He unearthed many bits that seem shocking today – the least of which was the idea of raffling off a child like it was a prize-winning pig at the county fair. There was the vast corruption of the time, with the mayor of Seattle, Hiram Gill, and the police chief, Charles “Wappy” Wappenstein, going into business together and building a 500-room brothel. He was most startled to learn that people were still being smuggled into the United States well after the Emancipation Proclamation, to work as laborers, servants or brides. One fact that refused to be exposed was whatever happened to the real Ernest, Ford said. He was donated for the raffle by the Washington Children’s Receiving Home, and the “winner” never came forward. His ethnicity was never mentioned in news accounts of the raffle, and Ford said he thought it might be stretching it to make him part Chinese and give him a back story. Published: Sept. 13, 2017, 12:13 p.m.